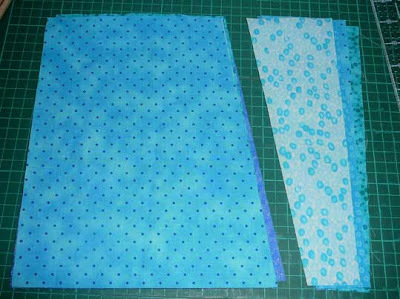 Patchy Work of Mini Grey: Slice and Dice Tutorial. 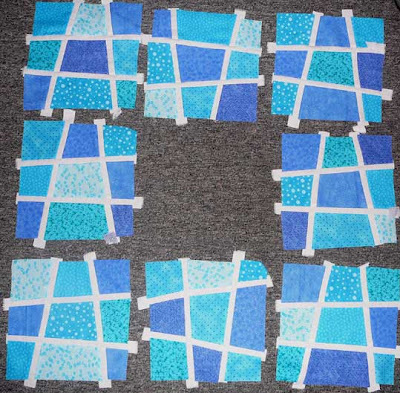 First up you need 9 squares of fabric. 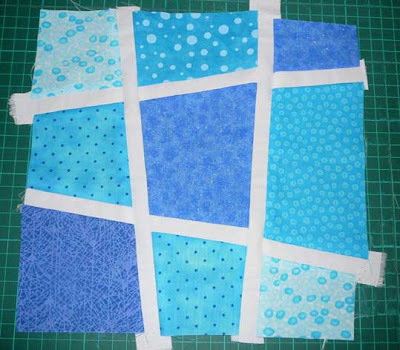 Now the finished block size will be smaller as its a wonky sew along. 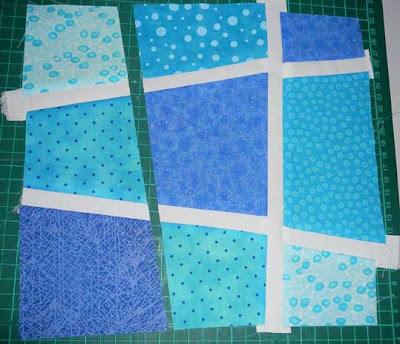 These ones here are 10 inch square, I figure that will come down to maybe 8 inches and so with seam allowances, 7.5 inches on the finished quilt top. 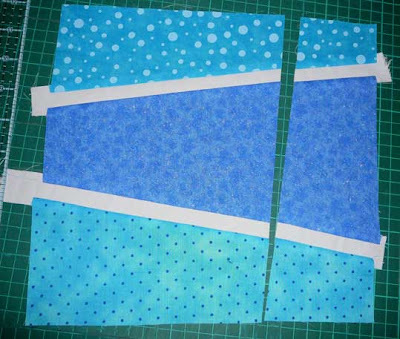 So you place the 9 peices of fabric on top of each other, get out your ruler and rotary blade then give them one big slice. Nice and strong cause there is a few layers there to get through. Whatever angle you want. You get out the rotary cutter again and cut another angle. 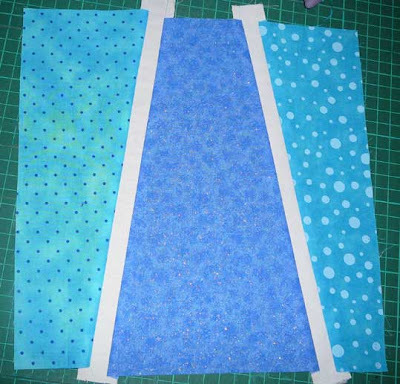 Again, you mix up the prints and I'm putting a white sashing inbetween to make it a square again. You could get imagainative and use different colours each time too. Endless possibilities. Sewn together and ready to rotate 90 degrees! And another big slice! 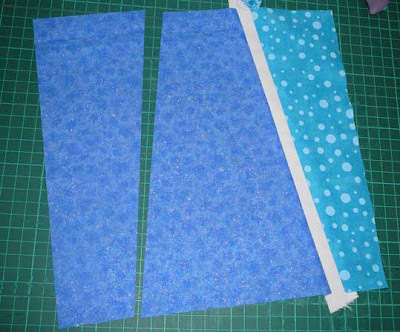 Just be careful doing these ones, cause the rotary balde can pull it off a bit cause you are cutting through so much fabric. I found it better to do these ones one at a time and just placed one bit already cut on the top and used that as a guide for the ruler. And another mix up of the prints. Starting to look interesting now! 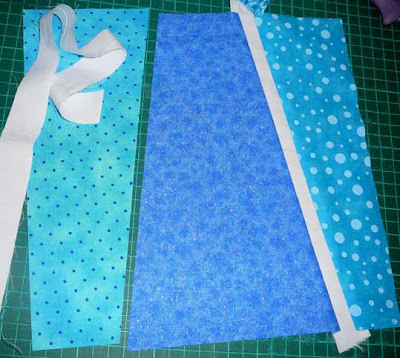 Add some more white sashing between these two bits. And another slice, starting to get why its called a slice and dice? And wolah! This is what my final block looks like! You can get tricky, you don't have to do 3 slices each side, you could do 4. You could do 2. 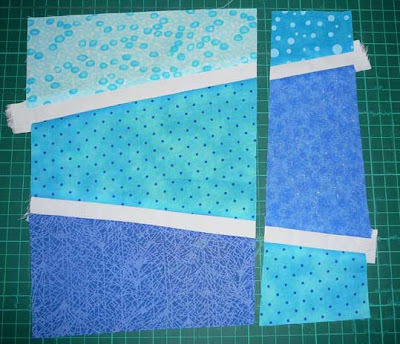 Because its a lot of slicng and dicing it comes together really quickly and even more so if you sew all the blocks together at the same time. However I did encounter a problem when I got to the end stage and laid my blocks out on the floor. I only had 8, I thought I cut 9 bits of fabric! It should be a different print in each section of the block, but I have doubled up on these. Each block has 2 sections of the same print. Not that it matters, just a quirk of the design. So this is what I have done tonight. Looking at it now laying on the floor, I am thinking just a nice green block in the middle, that should pop out! Hope all that made sense! Happy sewing! 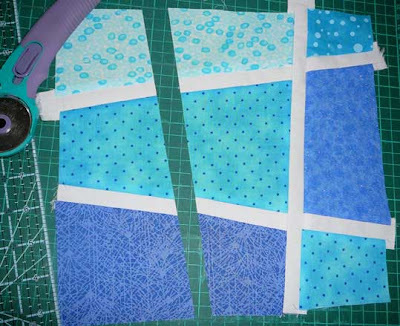 You could always make a wowwy block for the centre in the same fabrics. Thanks. I can't wait to give it a try. Hey, that's cool! Thanks for the tutorial, you made it nice and simple and I can't wait to give it a try! Thanks for the great tutorial! 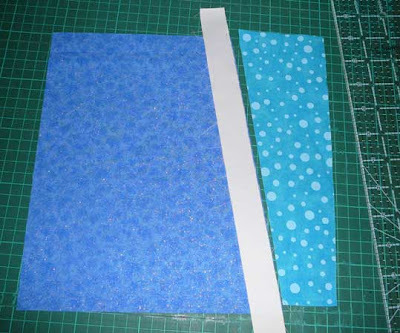 It does make sense and is a great idea to use larger scraps. I would like to have a try right now but I have some other UFOs (just a few! )which need to be looked after first! Take care. Thanks girls, glad it made sense! 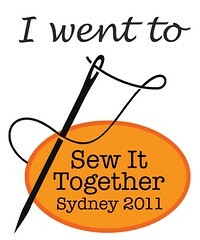 Looking foward to seeing what you all sew! Pop back and share! 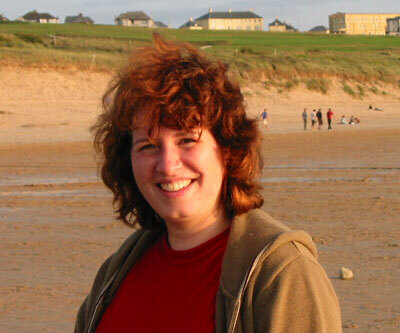 I love the colours Helen - looks fantastic! I just thought I would let you know you inspired me! THANK YOU! ;) I made one of these years ago and have been searching the google for directions since I couldn't find the print out how-to. Search ended... and it's all coming back. This looks like fun! I will have to add it to my to do list. Thanks for the tutorial. The last day of May! Todays Outing to the Craft Fair/Quilt show! A sneek peak for Emma! Gracie Lou goes to China! A Post a Day in May! My Dolls Quilt From Chalet Girl13!